September 11th marked the line between a United States before and after terrorism. In New York City it also marked the changing of the guard between two mayors. Both of their legacies rely upon the memory of the World Trade Center’s reconstruction. Who would have guessed that an addition of a mosque at Ground Zero would serve as the dividing line between the two mayors. On one side, Former Mayor Rudolph Giuliani, a born and raised New Yorker, saw through New York’s change under his administration and after September 11th became “The America’s Mayor” for his poise during the terrorist attacks on New York. On the other side, Michael Bloomberg, who upon his election as Mayor inherited the post traumatic New York environment, only three months after the attack. 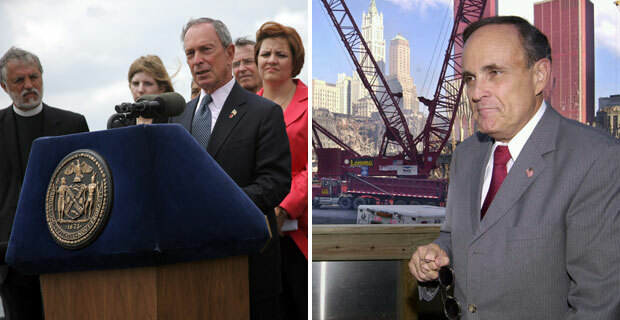 Bloomberg has been guiding the city for almost a decade after the attack. Although both men have made major strides in what is arguably one of the toughest cities to run in the country — it’s interesting to note their divergent opinions sharing only one element — their vehement beliefs in their stance. â€œItÂ sends a particularly bad message, particularly (because) of the background of the imam who is supporting this. This is an Imam who has supported radical causes, who has not been forthright in condemning IslamicÂ (terrorism) and the worst instincts that that brings about. â€œSo it not only is exactly the wrong place, right at ground zero, but itâ€™s a mosque supported by an imam who has a record of support for causes that were sympathetic with terrorism. Come on! Weâ€™re gonna allow that at ground zero? â€œThis is a desecration,â€ he added. â€œNobody would allow something like that at Pearl Harbor. Letâ€™s have some respect for who died there and why they died there. Letâ€™s not put this off on some kind of politically correct theory. In response to all the opposition the building of the Park51 mosque has received, Bloomberg re-iterates the constitutional right for freedom of religion as the basis of his opinion. â€œThe World Trade Center Site will forever hold a special place in our City, in our hearts. But we would be untrue to the best part of ourselves â€“ and who we are as New Yorkers and Americans â€“ if we said â€˜noâ€™ to a mosque in Lower Manhattan. â€œLet us not forget that Muslims were among those murdered on 9/11 and that our Muslim neighbors grieved with us as New Yorkers and as Americans. We would betray our values â€“ and play into our enemiesâ€™ hands â€“ if we were to treat Muslims differently than anyone else. In fact, to cave to popular sentiment would be to hand a victory to the terrorists â€“ and we should not stand for that. What do you think about the divergent ideas from both mayors? New York Mayor Bloomberg don’t appease enemies Ground Zero mosque Imam Muslim terrorist and Muslim governments and Al-Qaeda who are doing Islamisation of Europe and USA. You are Coward and Traitors of 9/11 victims and their relatives , New Yorkers , USA if you support and appease enemies muslim Terrorists and Muslim Governments who are doing Islamisation of Europe and USA. Ban Mosque in Ground Zero ,New York , USA , Europe and World. We don’t want a New York Coward Mayor Bllomberg who like British coward PM Arthur Neville Chamberlain who appease Hitler . We want a brave leader who like British PM Winston Churchill who have brave to fight back Hitler.